We finally got back to Eugene at 1:30a Monday morning. Poor Q had to be to work by 8. It's lovely being home. Yesterday I harvested 1 1/2 lbs. 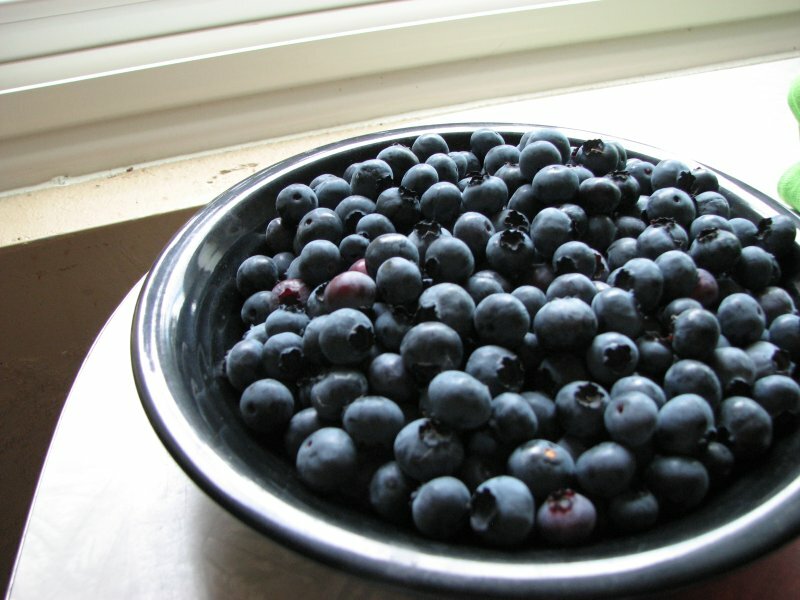 of blueberries, 1 1/2 lbs. of snow peas, the first 8 pods of shelling peas, and about 7 lbs. of strawberries. I need to do another strawberry picking today. I didn't have time to post this before I left. 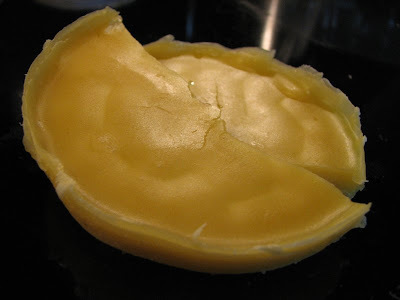 Here's the beeswax after it was melted and strained. I still don't know what we're going to do with it but today I've got to make laundry soap (and wash many clothes) so this particular bit of experimentation will have to wait.